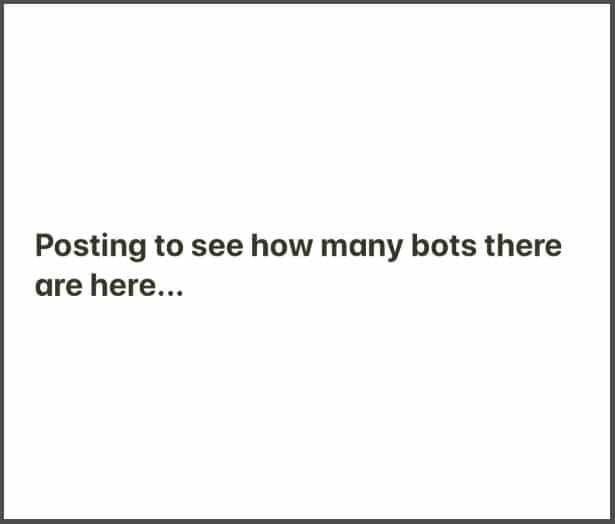 If you’re using Instagram either personally or for web marketing then we’re willing to bet you’ve experienced and/or interacted with a bot at some point. We’ve all likely seen the “find out how to get thousands of followers by following my account” comments on posts or the weirdly placed “thumbs up” or “great photo!” staples. Then there are the accounts coming in to like a bazillion of your photos all at once or the always evil accounts that follow you to get your follow back, then unfollow you. While these actions are all things that can happen genuinely, it more often than not is some sort of “Instabot” and it’s annoying and transparent as hell. So consider this blog our appeal to anyone out there using one to please stop. We’ll save you the deep technical explanation as few using these bots have built them themselves, but to put it very simply a bot is a bit of software that you allow access to your account so that it can automate certain actions. Usually it’ll be some sort of shady black hat web marketing company or person who sells a business on the idea by offering quick fixes to complex issues like how to get more followers or take the hassle out of interaction online and we can understand why that sounds like a great idea for the time poor, but it’s reflective of an attitude that more often than not leads to failure in web marketing: I have more important things to do. This is simply not true if you want to succeed in generating leads and sales via online marketing. Instagram is one part of an overall strategy, so just because it might not seem immediately obvious how a particular element of your online presence is contributing to your goals, that doesn’t mean that it isn’t. But let’s get into why genuine interactions and followers are important. Why are bots a bad look? In a short sentence? They’re obvious. Really obvious. 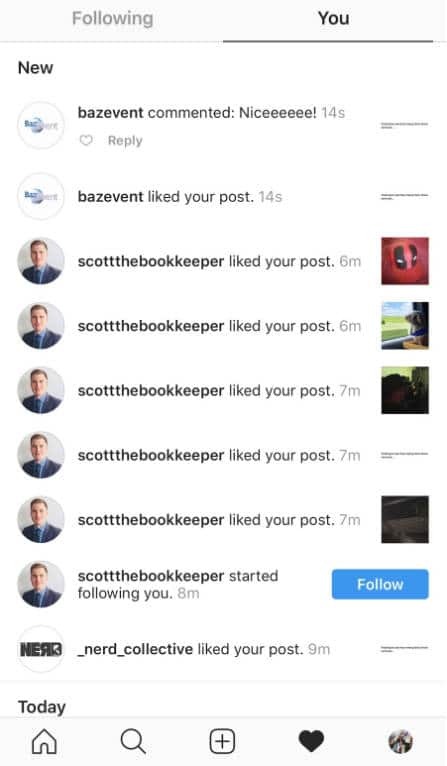 Maybe one day when an Instagram bot can pass the turing test and users can’t tell that they’re interacting with a piece of software you’ll be able to get away with it, but right now you’re saying loud and clear to users all over Instagram that you don’t think that they are worth your time. Not a good look for a business trying to interact with customers via social media. We could go on, but you get the picture. These accounts were incredibly obvious and we attached zero value to their interactions. Some we even banned. The average Instagram user is no less savvy to something so transparent. Be human. If you genuinely don’t have the time or resources to engage genuinely in social media then don’t do it. You’ll be missing out, but it’s better than giving the impression that you don’t value your customers enough to be real with them. However, if you want to do well with your account and need some inspiration then check out this article for some great examples of how to create engaging content and nurture real customer interactions. If you really want to drive leads via social media and have it automated then we’d suggest engaging in some pay per click advertising rather than trying to fake interactions. At the end of the day, we do get it. Social media can be time-consuming and following the traditional path of organically obtaining follows and interactions takes a lot longer than simply giving the job to a bot. But it’s about quality over quantity. 100 fake followers are of less use to you than 5 dedicated customers who want to interact with you online. Instagram is a fast growing platform in terms of the amount of business that it can generate, but only if you do it right. It’s not Facebook, it’s a quality content only platform that you can’t cheat if you want to have any success there. So be real! As always if you’d like any further info on today’s blog topic or want to have a conversation with us about how we might help you to explore your options with regards to web marketing in Brisbane (or anywhere really, this is the digital age after all! ), then please feel free to get in touch!